In my last post, I wrote about how I was misled by the influencers who worked on the #KrisFlyerUOB campaign to believe it was a good account, when it really wasn't. Now that we've seen how lifestyle influencers are capable of royally screwing up reviews related to financial products, how about brands start giving the sponsored posts to the financial bloggers instead? 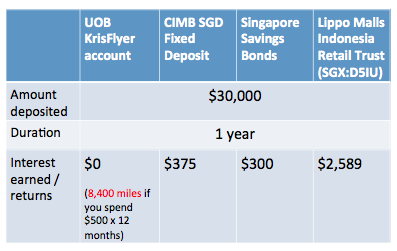 A few folks have asked for my opinion of the KrisFlyer UOB account, so here it is : No, I will not be signing up for the KrisFlyer UOB account, simply because the maximum miles per dollar (mpd) I can realistically earn is only 1.4. 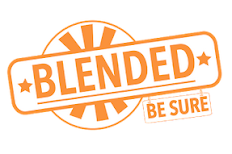 There are so much more better alternatives, which I'll show you in a bit. Firstly, you should know that the KrisFlyer UOB account does not pay you any interest on your deposits. None of the 4 influencers told you that, but I will. Secondly, their debit card doesn't have the cashback / other rewards of a credit card. This is worse than my UOB One which at least gives me cc perks AND helps me get a higher interest rate on my saving deposits. Let's illustrate using a return trip to Tokyo (like what LadyIronChef did). #KrisFlyerUOB : Spend $36,000 in a year i.e. $3,000 a month. UOB One: For the same spend, this will give me $1,800 in cold, hard cash back. How many Japan trips can you buy with that? $3,000 a month is too unrealistic? Okay, let's try to go to Bangkok like Bellywellyjelly did instead. If I swipe this on my UOB One card, that'll give me $594 in rebates. The last I checked, it'll only cost me $171 for a Bangkok trip in December. I can use the rest of the money to shop, whereas the KrisFlyer UOB will only get me the return flight. Come on, given these, how is the KrisFlyer UOB a good tip? 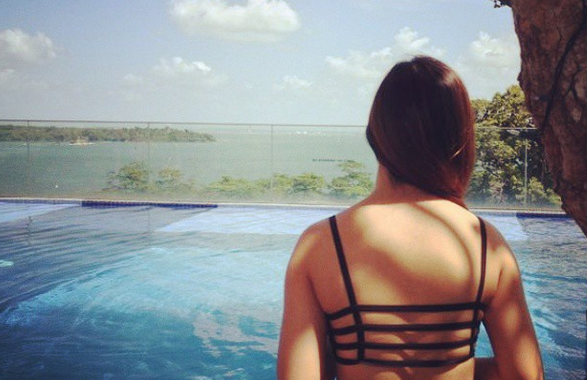 What on earth were these influencers thinking? Don't like UOB after this whole saga? Hey, some of their other products are actually pretty good. But no worries because Budget Babe has "got you covered" (like bellywellyjelly)! Instead of putting your savings into an account that doesn't even pay you any interest, how about investing your deposit instead? 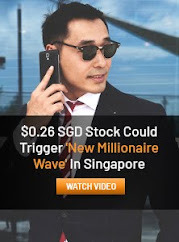 I can actually earn enough interest to afford my Bangkok return flight in just 7 months if I park my $30,000 in the Singapore Saving Bonds (SSBs), which doesn't require me to spend a single cent extra either. Or, if I leave the money aside for much longer (come on, I can afford to go to Bangkok using my next month's paycheck), I'll could even get up to $8000+. Pretty sure this will get me more than just that ONE return Sydney trip Mel said she unlocked with the KrisFlyer UOB. Excluding possible capital gains, which are impossible to foresee accurately. Given that the company recently said they’re positive of their long-term outlook, I’m assuming dividends do not get cut. If you prefer to play the miles game instead of using cold hard cash to pay for your flights, there are better ways too. I'm not as good at miles hacking so I'm not going to pretend and give you guys any advice here (unlike *cough* some influencers *cough*), so blogger Aaron Wong has kindly agreed to pitch in (of the MileLion, you guys should check him out). The below section is contributed courtesy of www.milelion.com and written exclusively for you Budget Babe readers. I take no credit for this piece of genius; I merely rewrote it. 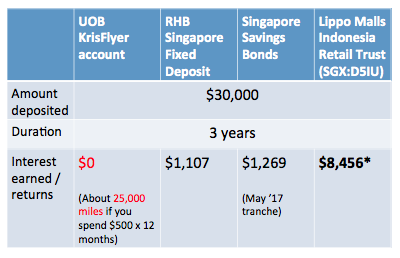 Assuming $30,000 sits in your account + you spend $1,000 on your credit cards each month, you'll earn just 16,800 miles from your KrisFlyer UOB account after one year. 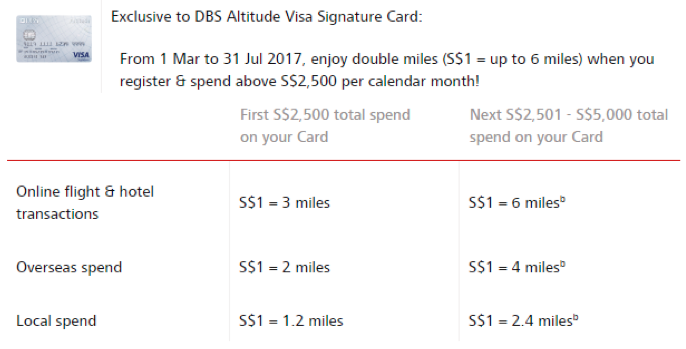 Since the weighted average MPD = 2.96, to get your 16,800 miles, you'll only need to spend $5,676 instead of the $12,000 required on the KrisFlyer UOB account. Save the $6,324 guys! 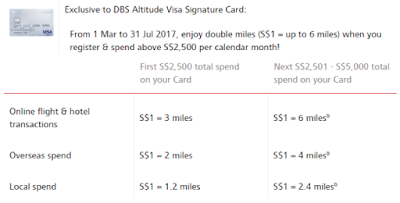 Miles Hack 4: If you're a sucker for just ONE card, sign up for the DBS Altitude Visa Signature by 30 June 2017. Get 10k miles when you spend at least $1k each for the first 2 months. Who gave the better tips? Nice wripteup! By the way, which Standard Chartered fixed D gives a 3+% interest rate p.a.? Thanks! Oh crap you're right - I must have forgotten to change SC number when I copied the two tables to edit. No way in hell SC gives a 3% for one year FD. The one I saw was about 1% ish! I'll make the change and link you to the SC fixed deposit I used for this post in a bit, thanks for spotting this Shan! Here's the name of the SC FD I used: Standard Chartered Singapore Dollar Time Deposits, which gives 1.15% and $316 total. Thank you for helping me, and everyone else who reads this post! darn, I thought there was such a great deal out there haha! But thanks for all your recommendations! 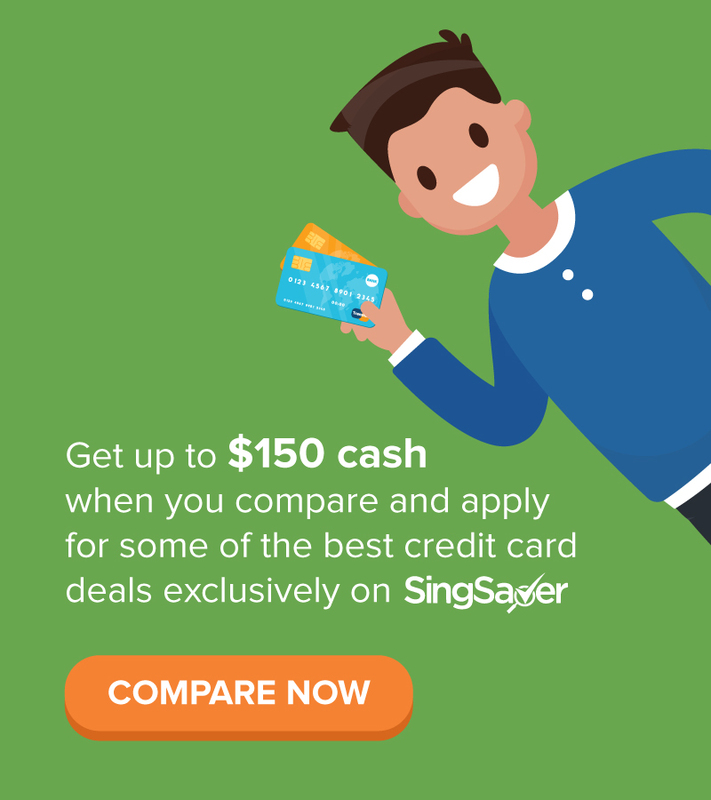 Why the CIMB StarSaver (0.8%) instead of the CIMB FastSaver(1.0%)? Anyway, regarding influencers peddling poop, I think it's a shared onus of the influencer to believe in that particular product/service, and for the readers to know that their favourite influencer may or may not be financially trained, lol. I prefer cashback too, but if I was playing the miles game, I definitely would be racking up miles with the UOB KF account. For a moment, I was like HUH HAS GMGH LOST HIS MIND lol. Finance companies should just give the sponsored posts to you and me, G. Don't give finance products to lifestyle influencers who don't even know what they're talking about, or prepare for a majorrrrrr backfire like this campaign. CIMB FastSaver is definitely better, but I didn't put it here cos I didn't like how the 1% is only for the first 50k, whereas CIMB StarSaver gives 0.8% p.a. on the entire account balance. 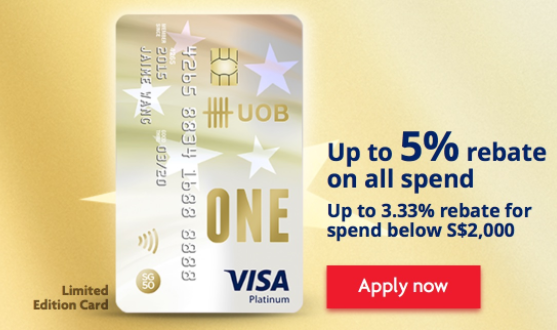 Actually I still prefer a combination of UOB One / OCBC 360 / BOC SmartSaver, but some people might not like to jump through so many hoops. Ahahaha, yeah I panicked when I saw my typo too! Was it actually a major backfire though? I don't follow those people, so I'm not sure how their followers reacted to this endorsement. Financial products are very objective with dollar differences, unlike many other products which could be a subjective preference. It's hard to endorse something unless it really is good, comparatively. My Citibank MaxiSave just hit rates of 1.4x% (should be adding 0.1% each month for the next 4 month til it caps), so actually I'll be trimming down the balances in my CIMB accounts by transferring it over to Citi to makan the higher rates. My credit card spending is too low that I can only manage just one of those kind of accounts. CIMB Fast Saver gives 1% for the first 50k and then 0.6% for the balance above that, so the breakeven for the StarSaver is 100k. Ie. Below 100k, Fast Saver gives more interest. Above 100k, Star Saver gives more interest.